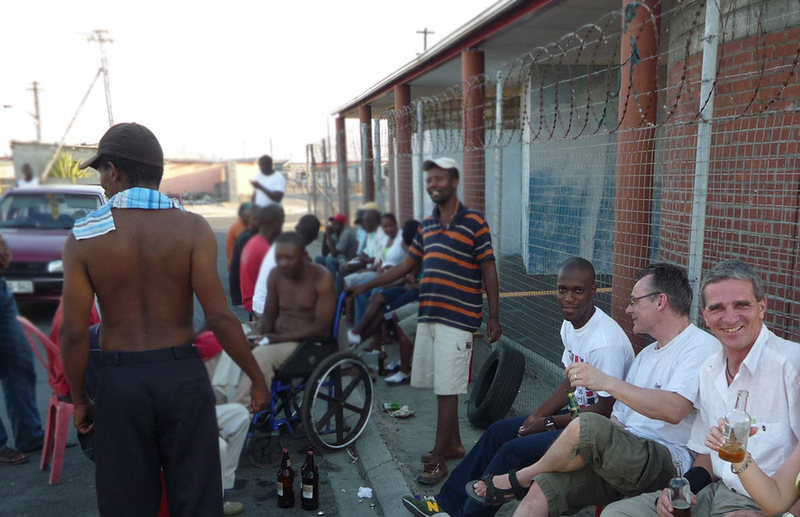 Hajo´s Township Tours offers you a once in a life time opportunity to experience the townships of Khayelitsha and Langa through the eyes of a local. The private, tailor-made driven and walking tours are designed to fit around your specific interests and are led by professional local experts who have personal relationships with the community that you’ll visit. Hajo’s Township Tour guides are extremely friendly and fluent in both English and German to ensure that you get the most out of this spectacular experience. With half-day, full-day and evening township tours available, there’s no excuse not to treat yourself to this authentic South African experience. This half-day Cape Town township tour is definitely something that you’ll want to write home about. 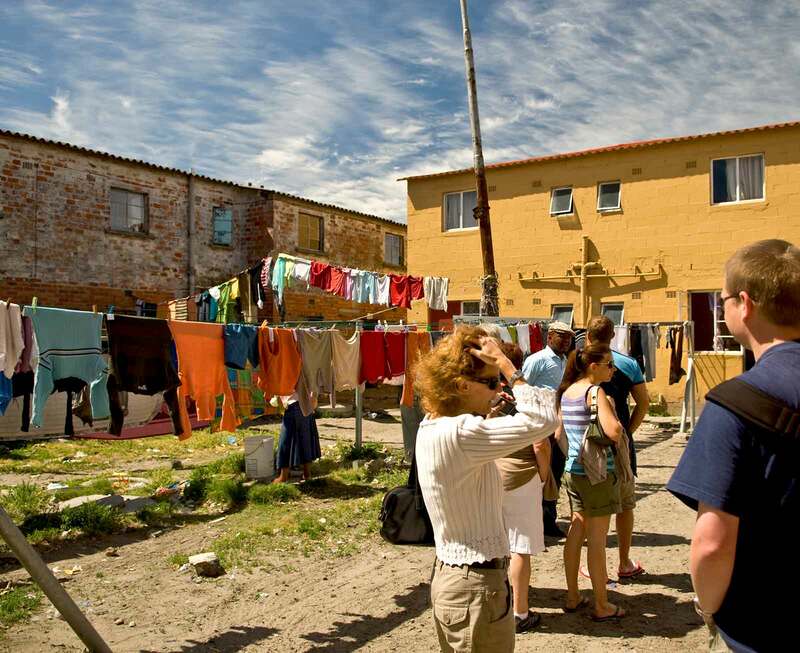 Led by your own personal English and German tour guide, you’ll visit Langa, Cape Town’s oldest township, as well as Khayelitsha, South Africa‘s second largest township after Soweto in Johannesburg. During the insightful 4.5 hour tour you’ll walk through the townships and learn about their history and interact with families living in the community to find out more about their daily life. 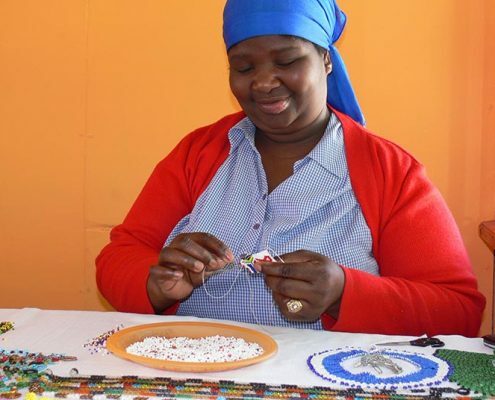 During the township tour you’ll have the opportunity to visit a number of inspirational social projects, such as the Khayelitsha Craftmarket, which is famous for its unique African themed crafts, and the talented entrepreneur Sandi Mdekazi, who creates beautiful mosaics out of ceramic tiles, glass and mirrors. As an added treat you can round off the half-day Cape Town township tour with a delicious home-cooked lunch prepared by a typical “mama” in her home. She will join you and your tour guide at the table and share her story while you enjoy your meal together. Costs include local tour guide and donations for the families visited. Please also pay for your tour guide’s lunch. If your time permits, we highly recommend taking part in this immersive full-day Cape Town township tour. The full-day itinerary includes the activities of the half-day tour, in that you’ll be equipped with your own personal English and German tour guide and visit Langa, Cape Town’s oldest township, as well as Khayelitsha, South Africa‘s second largest township after Soweto in Johannesburg. While you’ll be driven between Langa and Khyayelitsa, on the walking part of the tour you’ll learn about the history of the townships and also personally meet and engage with people living in the community to find out more about their daily life. Based on your personal preference, throughout the day you’ll visit different social projects that will leave you feeling inspired. For example, you can visit Odon Serginho de Carvalho and see his beautiful sand paintings, and also pay a visit to Golden and listen to the touching story behind his hand-made flowers fashioned out of tin cans. After enjoying a delicious home-cooked lunch prepared by a typical “mama” in her home and chatting with her, the Cape Town township tour will conclude at a breath-taking scenic lookout point overlooking the vast Cape Town township area that’s home to more than 2 million people. If you’re curious about the Cape Town township night life then this is the tour for you. With afternoon and evening township tour options available with your own personal English and German speaking tour guide, you’ll explore Langa, Cape Town’s oldest township, as well as Khayelitsha, South Africa‘s second largest township after Soweto in Johannesburg. Along the lines of the other Cape Town township tour packages available, you’ll find out more about the townships’ history and meet people living in the two townships and experience their way of life. 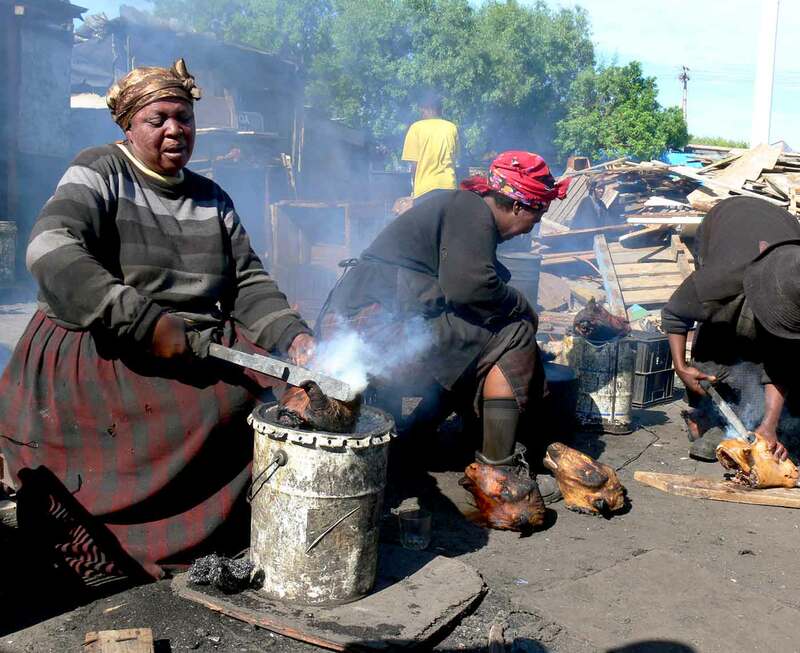 After enjoying a delicious home-cooked dinner prepared by a typical “mama” in her home and chatting with her, the afternoon or evening township tour will end-off in style in a typical township “shebeen” where you can have a drink with the locals and get a taste of the township night life. Costs include local tour guide and donations for the families visited and a drink at the shebeen. Please also pay for your tour guide’s dinner. Even if you aren’t religious we can guarantee that you’ll be touched by this beautiful Sunday township tour. Starting bright and early you’ll attend an 8:00am gospel service at a church in Langa, Cape Town’s oldest township. This is a great opportunity to see how important faith is in the impoverished community. Following this beautiful singing and dancing experience, you’ll be led by your own personal local tour guide, who is fluent in both English and German, on foot to find out about the township’s history and meet and engage with people living in the area. Costs include local tour guide and donations for the families visited. Cape Town is known for its scenic mountainous beautify, so we’ve put this package together especially for those of you who wish to see how the crowded townships contrast with the beautiful rolling hills of the Cape Town Winelands. The full-day township and Winelands tour kicks off in Langa, Cape Town’s oldest township, followed by Khayelitsha, South Africa‘s second largest township after Soweto in Johannesburg. During the 9 hour tour you’ll be accompanied by a local tour guide who is fluent in both English and German so that you can freely ask him about the townships’ history and meet the locals to find out more about their daily routine. 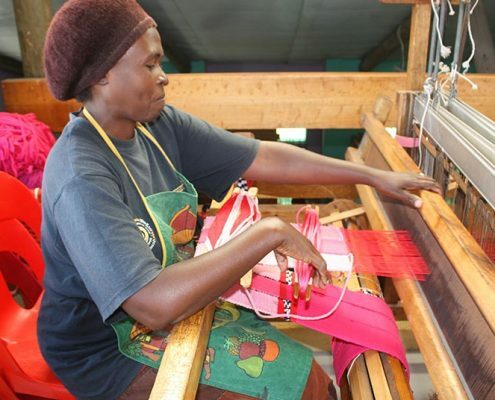 Along the way you’ll stop by a number of social projects, such as the Philani Weaving Project that hires HIV positive mothers and foster mothers to HIV positive orphans to provide them with an income. 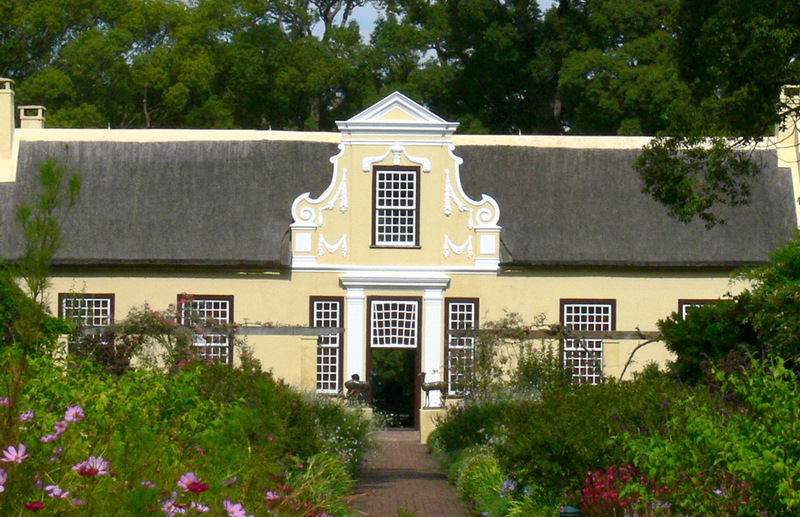 During the second half of the day your personal tour guide will drive you out of the city towards the stunning Winelands. After visiting Stellenbosch, the second oldest town in South Africa, you’ll have the opportunity to visit the quaint historical town of Franschhoek before ending up in Paarl, South Africa’s third oldest town, for a luxurious wine and cheese tasting experience. Costs include local tour guide, donations for the families visited and one wine and cheese tasting. With a prior arranged booking and a small surcharge, we can fetch you at your accommodation as well as drop you off after the tour. R550 for Bantry Bay, Clifton or Camps Bay (other parts of Cape Town on request). Donations are always welcome in the townships. Besides money, there is always a need for used clothing, shoes and material for drawing and playing in the township kindergartens. If you would like to donate something, you are more than welcome to bring it along! We recommend supporting the local artists in the craft markets; their art makes wonderful souvenirs or small gifts. They are often short of change, so it is advisable that you bring along change. See what our guests /the media have to say about our Cape Town township tours! Founded at St. Michaels Church in 1997, the Khayelitsha Craftmarket has since become an important part of the community. 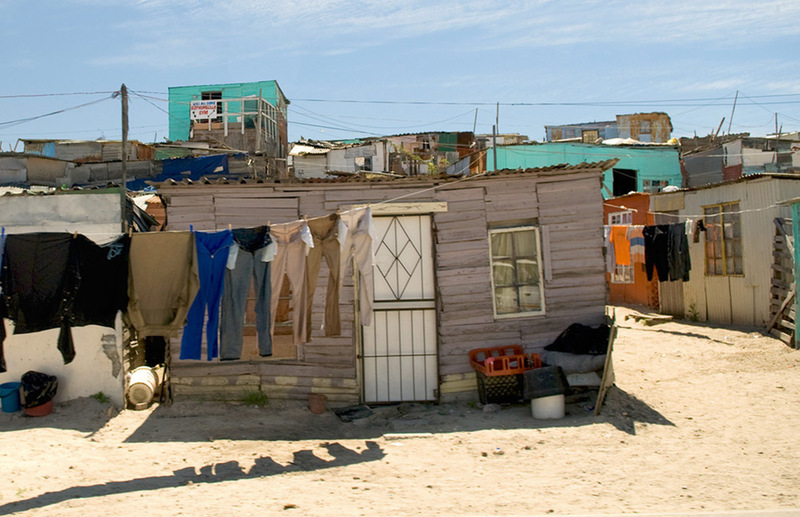 Philani is one of the oldest and most well-known projects in Khayelitsha. It was founded by a medical doctor from Sweden in 1979. 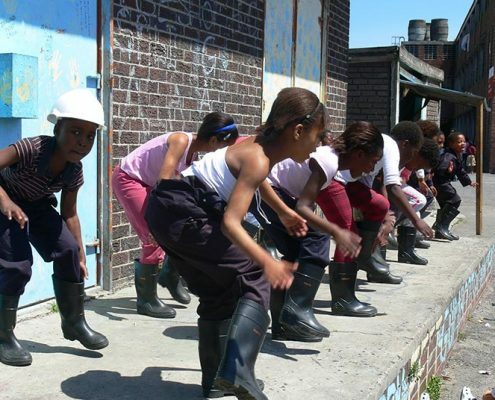 Happy Feet was founded in 2007 by 8 members who learned how to perform a gumboot dance, a typical form of dancing in South Africa. 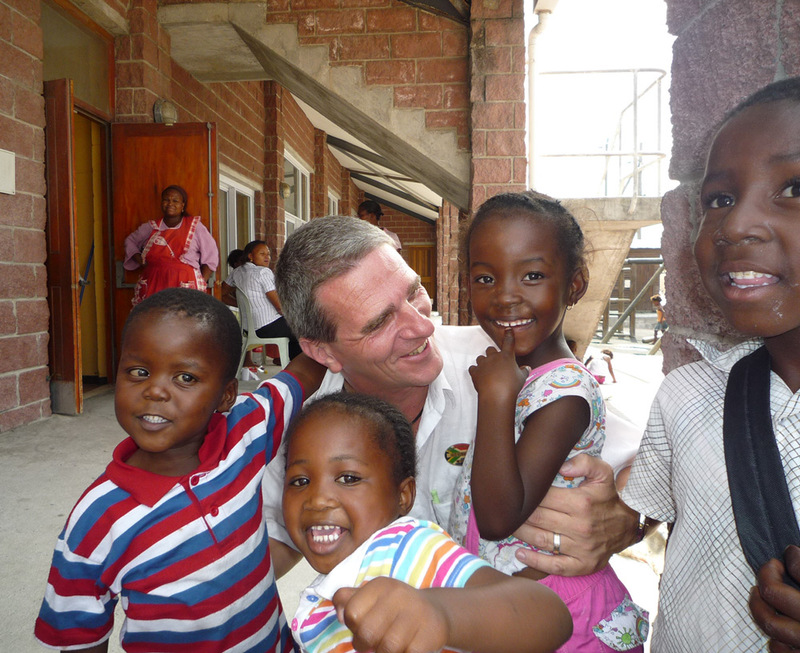 During our Cape Town township tours we will visit some of these projects, among others. You can let us know which one you would like to see or any others that you might know of. Please remember that each project has its own opening hours, so we can’t always guarantee a visit. We’re also happy to forward any donations that you may wish to make.